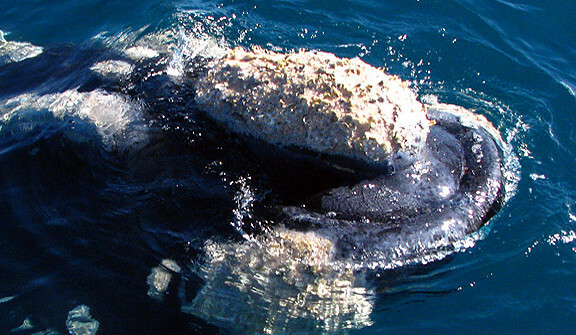 This whale watching tour is a full day, guided tour from Cape Town to Hermanus. 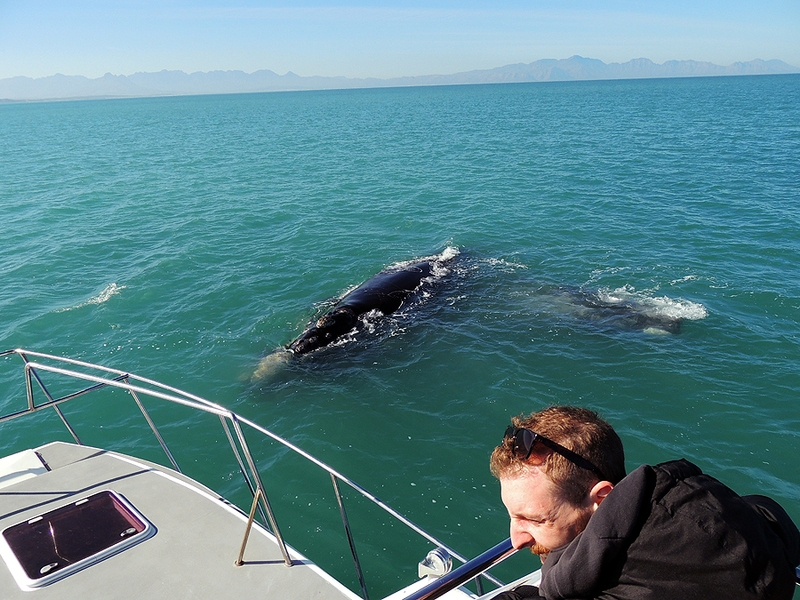 The tour offers you the best of both land-based and boat-based whale watching in the Western Cape. 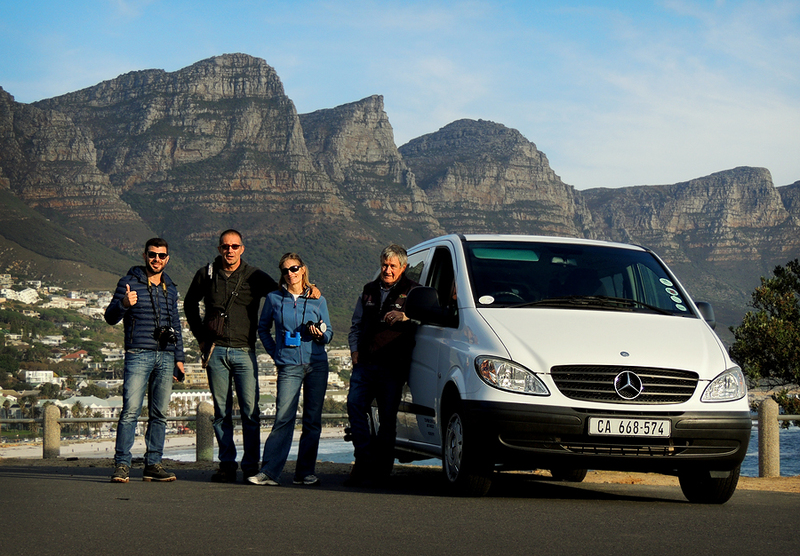 The 120 km transfer from Cape Town to Hermanus takes you on a magnificent coastal drive past rugged mountains and sweeping bays. There should be time for a coffee stop on the way or maybe the chance of watching some surfing at Gordons Bay. Whales may often be sighted from the coastal road and there are many lay-byes where you can stop to enjoy the magnificent views over False Bay. 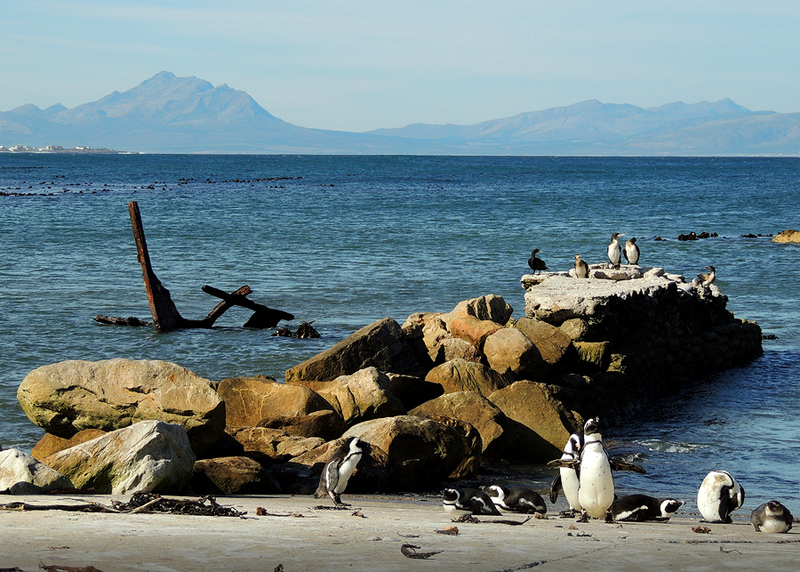 A stop at the penguin colony in Betty’s Bay is included in the package. The colony is great place to view these enchanting birds at close quarters, against the rugged scenery of Stony Point. The site was once the location of the Waaygat Whaling Station (1912-30) and remains of some of the old structures are still visible today – a poignant reminder of the persecution these animals have endured at the hands of man. 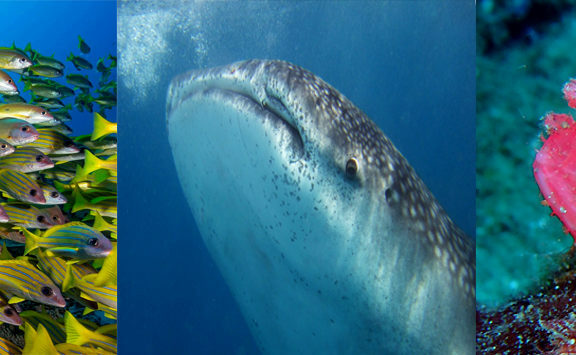 At 12pm you board a 2 hr boat-based whale watching charter. The boat is officially licensed to conduct close encounters and may legally approach whales to within 50 meters, it is then up to the whales if they wish to investigate you and the boat more closely. 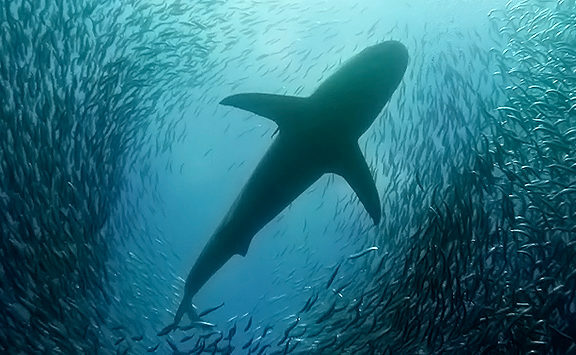 Often their natural curiosity provides an up-close and personal encounter that will never to be forgotten. Hermanus is widely regarded as the whale watching capital of South Africa. Built upon low cliffs overlooking Walker Bay, there are many fantastic viewpoints from which to observe whales. The main species of whale sighted are the southern right whales that visit the bay to calve and mate. Humpback whales may also seen as they pass through the bay on their way to warmer waters. Other species to look out for include the elusive Bryde’s whale as well as bottlenose and common dolphins that visit the bay in search of sardine and other shoaling fish. The afternoon is to be planned with your guide and a choice of activities and routes can be decided on-site. 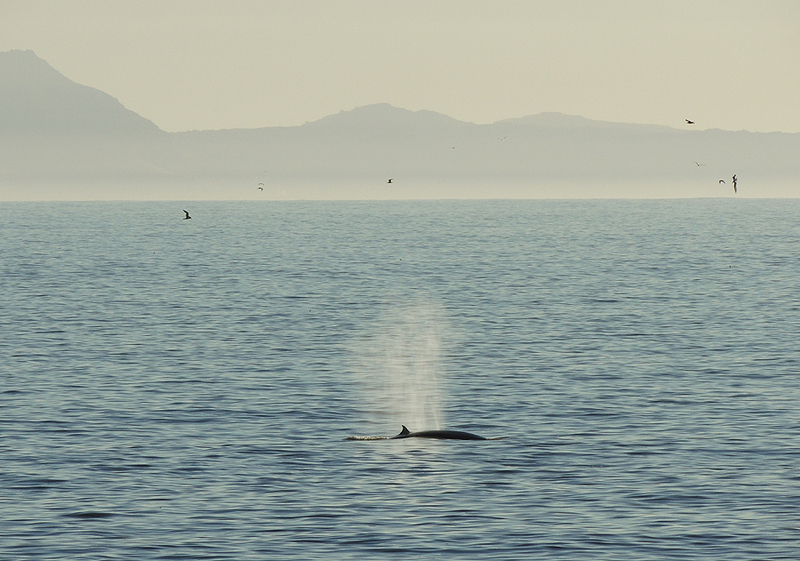 We recommend some time in Hermanus itself for land-based whale watching. Lunch may be taken in any number of restaurants on the sea front or you may combine it with a wine tasting or two in one the many estates in the area. Be sure to discuss these options with your driver/guide before your boat-based tour so that reservations can be made if necessary. The afternoon may also be used to take a scenic whale watching flight. Viewing whales from the air is the perfect compliment to land and boat based whale watching. The aerial perspective provides a unique opportunity to observe whale behaviors and interactions and is one of the best ways to truly appreciate their size and numbers. This whale watching tour is open to all ages, life jackets supplied. Tour includes time for lunch (excl.) in Hermanus and light refreshments en-route. Group rates available on request. Prices Exclude: All meals and refreshments unless stated . Whale watching flights. Entrance fees. Personal expenses . Medical and Travel insurance . Anything else you can think to add. Terms and Conditions: Prices are correct at time of posting but may change at any time, without notice . Special rates apply for groups and self-drive options are available on request. Payment in full secures booking.